Estonian castles have a rich history as Estonia has been controlled by the Danes, the Germans, the Swedes, and the Russians since the first occupation in the 13th century. However, all the conquerors have left behind a unique and remarkable blend of historic attractions: fortified buildings and manors, many of which you can still see today. The invasion of Estonia by the Danes and the Germans has made a big impact on the architectural development and the first constructions with Romanesque architecture began to appear in the country. Each self-respectful land-owner just had to build himself a castle of his own. The construction of the castles began approximately in the 13th century, but earlier the fortified buildings were more like secured ancient settlements. Today, there are over one thousand manors built across Estonia. Some of them have been wrecked or even destroyed, but a lot have been reconstructed and now are very popular among tourists. In the early 20th century there were 1,250 manors but by 2005 this number decreased to 414. There are fortresses and castles from the 12-16th centuries, and manors and palaces from the 17-19th. 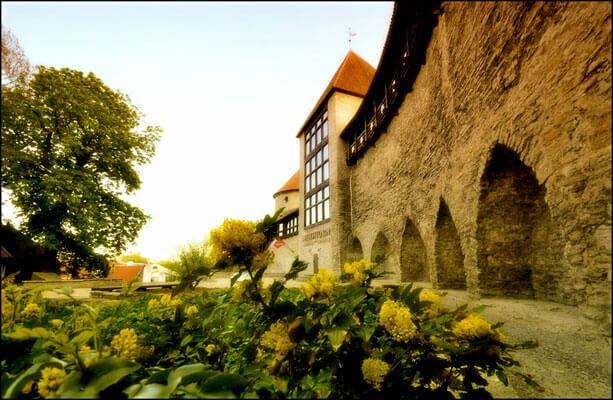 Some of the most popular castles and manors include Toompea Castle, Pikk Hermann, Toolse Castle, Rakvere Castle, Red Tower, Haapsalu Castle, Paide Castle, Kuressaare Castle, Kiek in de Kök, Castle Glehn, Pädaste Manor, Koluvere Castle, Põltsamaa Castle, Kiiu Tower. Do you want to learn more about medieval or hanseatic architecture and history? Would you like a taste of the royal atmosphere? Maybe you even want to see a ghost with your own eyes? Then you should definitely visit Estonia. By visiting this amazing country and its manor houses you will experience a whole new world!